Poodleism: Happy Birthday Edward. I love you. He has said that darts and pool are more his sport, and that he made up that he liked snowboarding and soccer for his Harry Potter audition. He beat 3,000 people to play Edward Cullen in Twilight. Robert revealed that when he was 14 he fronted a rap trio. However, the group didn't go well because it seemed funny for three private school kids, Robert admits. And because his mom kept cramping their style, popping her head in to ask, "You boys want a sandwich? I'd love to see him bust a rhyme, but he can't be that good. Freestyle beats. Add that to the ever-expanding list of Edward "pros." Could be a little tacky, but dammit why wasn't that me?!?!?! Robert loves drinking diet coke. His favorite cereal is Cinnamon Toast Crunch. Amen to both. I'm trying to get off of colas and breakfast cereals at the moment, but I love these two things two! It's like we're soulmates! The third installment of the Twilight saga, Eclipse, will be released June 30, thats only 48 days away (see countdown at right)! Hip Hip Hooray! To celebrate, the cast will be on Oprah today! My DVR better not eff this one up, I've been looking forward to the Twilight media circus to roll back into town since I saw New Moon. 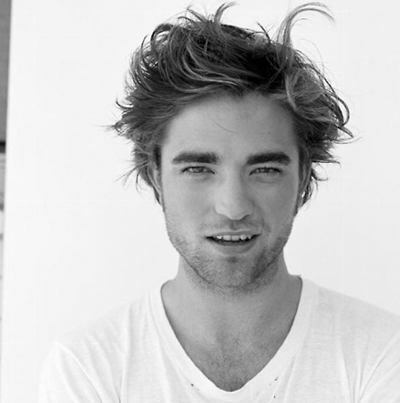 Happy Birthday Edward! You're my favorite of all my fantasy boyfriends! You are SO funny! 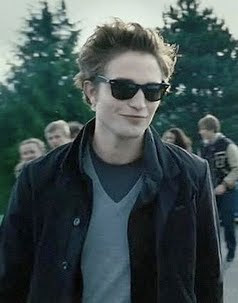 I totally heart Edward too... ready for the next movie to hurry up and get out [geez!]! PS- You totally should have been that obsessive-inivtied-out-to-dinner-fan! So awesome.